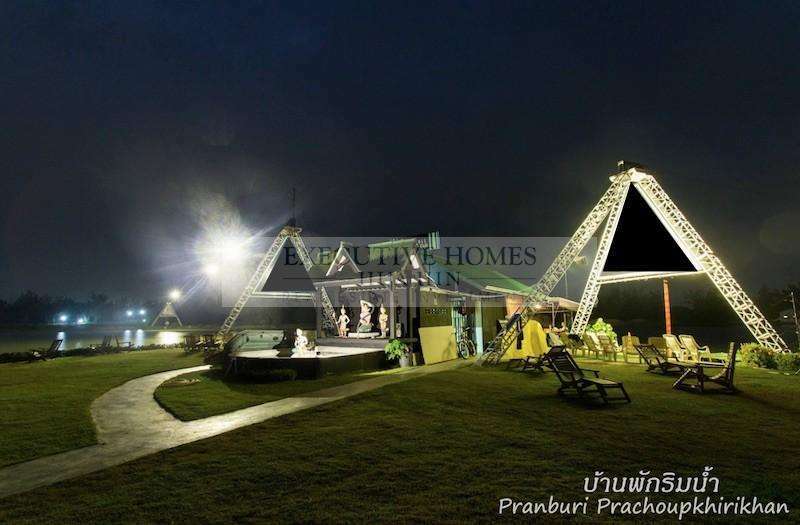 This is a great opportunity to own a fun, thriving business for sale Pak Nam Pran, Pranburi. With kite surfing so popular in this area, cable kiting is a great way for apprentices to learn the sport in a safe and instructive environment. 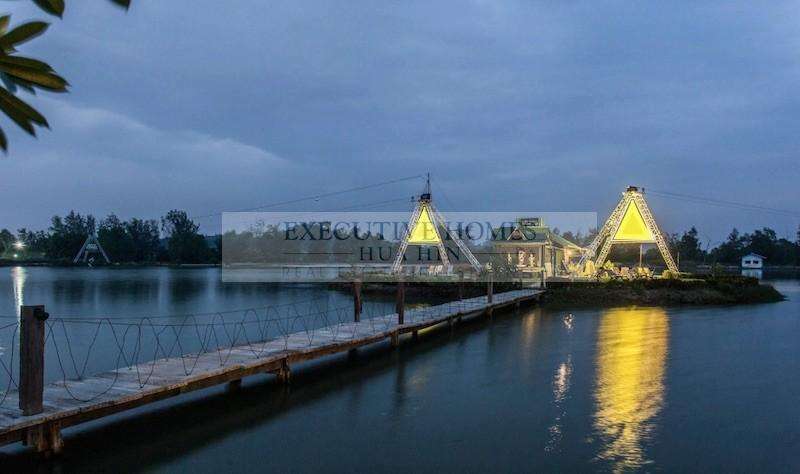 The sale includes all infrastructure currently on the land and water: 2 cable sets over the water, jumps and obstacles; a covered equipment area and small bar; a shop and all equipment inside; a toilet area with 2 bathrooms and a shower; and a large parking area. 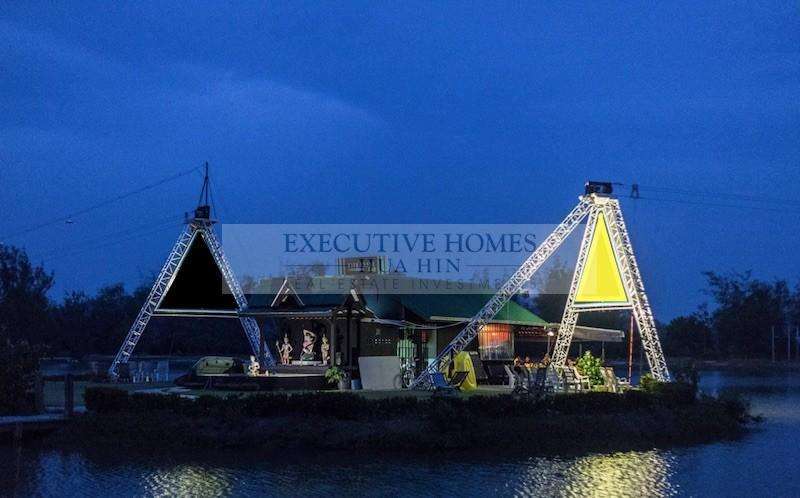 The business currently has a 5 year lease on the land, which can be negotiated for an additional term. 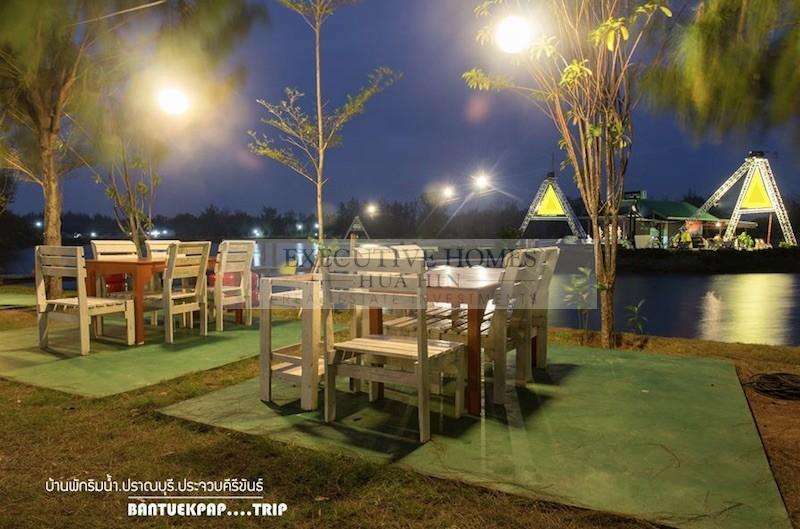 There is also a relationship with a Thai restaurant on-site to offer food for the guests, as well as a guest house with bungalows around the lake. 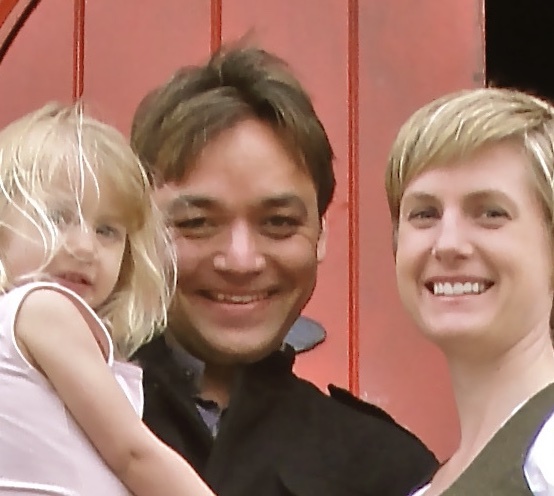 This is a unique opportunity to become the owner of an exciting outdoor recreation centre. 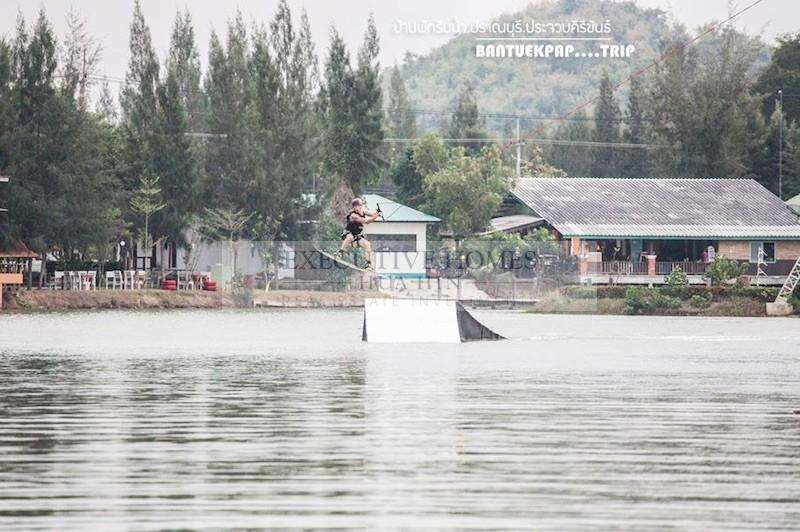 This one-of-a-kind wakeboard park was built to help people learn and improve their abilities whilst having a lot of fun. 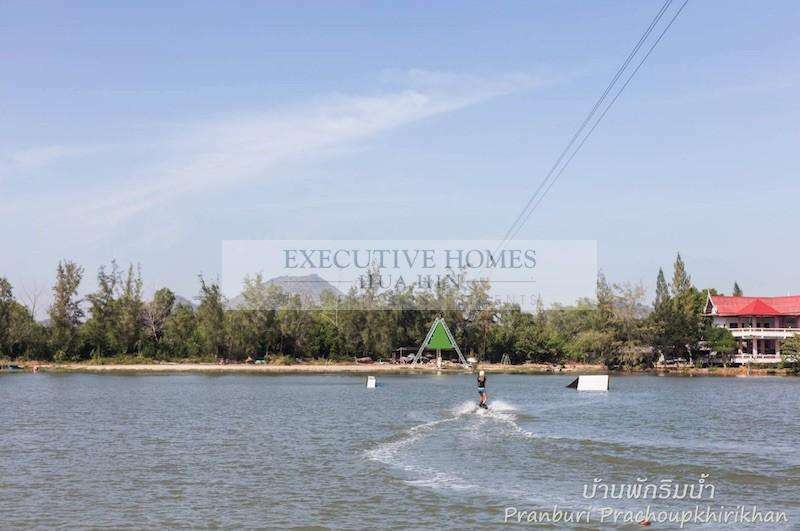 There are all kinds of clientele, from families with small children to semi-professional & professional kite surfers improving their skills, while enjoying a day of sports, activities and relaxing fun. 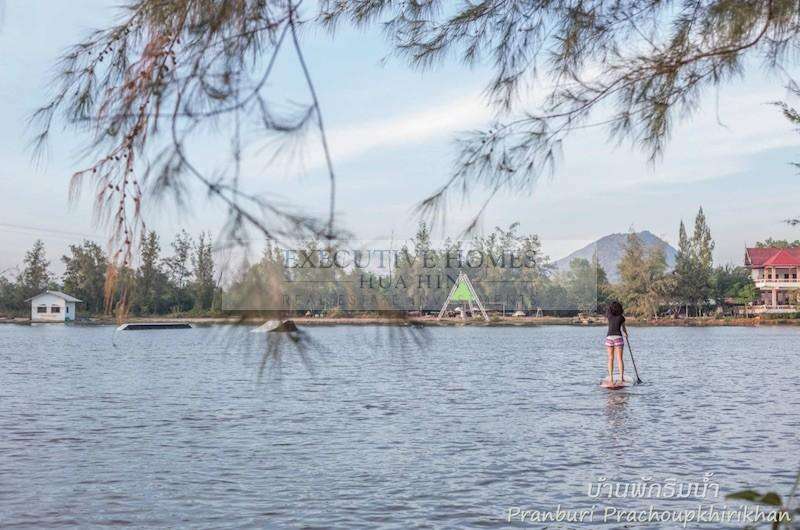 This charming kite surfing island attracts curious passerby who also enjoy cool refreshments at the Kite bar. 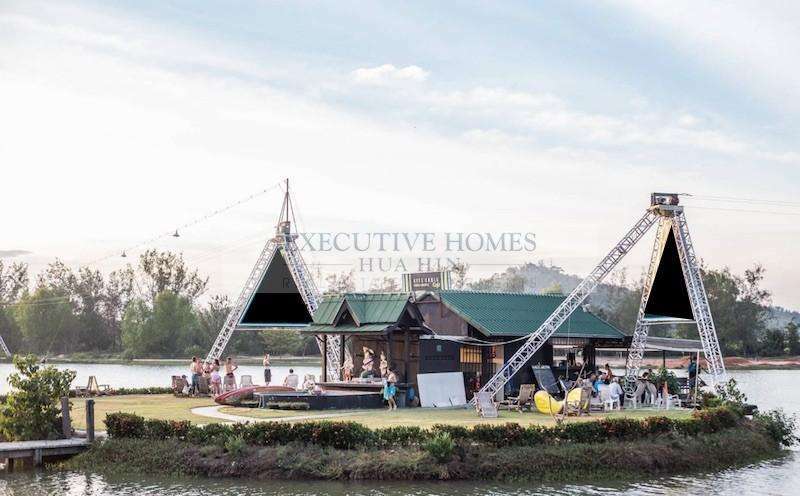 The kite cable equipment is sophisticated and substantial and designed with safety in mind, and all parts and equipment were manufactured and purchased locally, so it’s easy to maintain and fix if there are any problems. The sale includes all original blueprints for cable equipment as well as the buildings and other infrastructure added to the property. 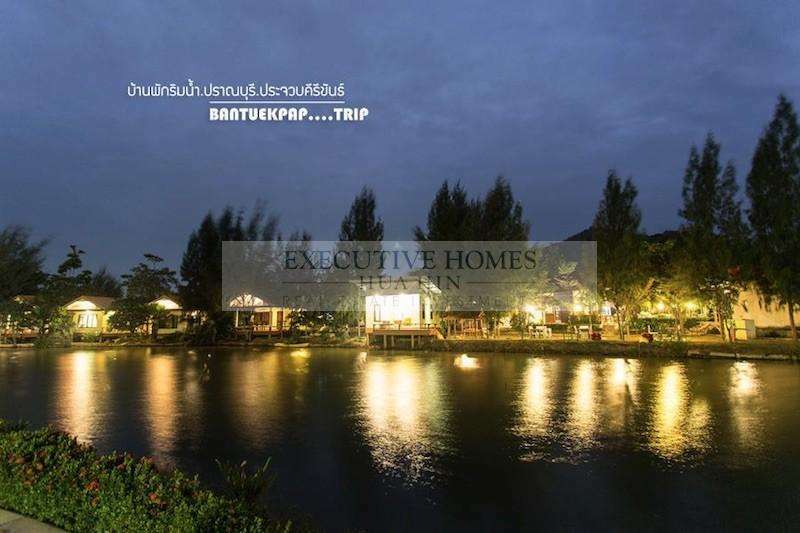 Pranburi and Pak Nam Pran are quickly becoming popular tourist destinations in their own right, offering a different, more laid back and bohemian atmosphere to tourists and residents than Hua Hin. 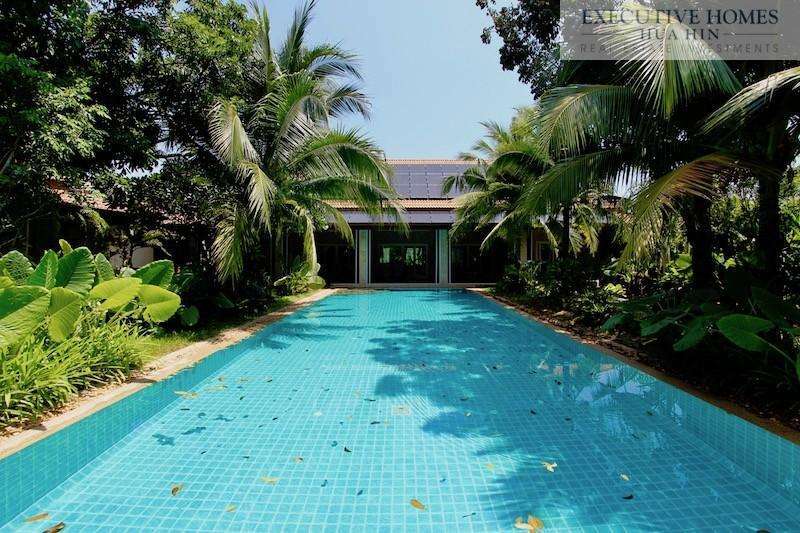 Many people are discovering the charm and natural beauty of Pak Nam Pran, and there has been a lot of recent development in this area, including a huge infrastructure and beach reclamation project along the Pak Nam Pran and Kao Kalok beaches and roads. 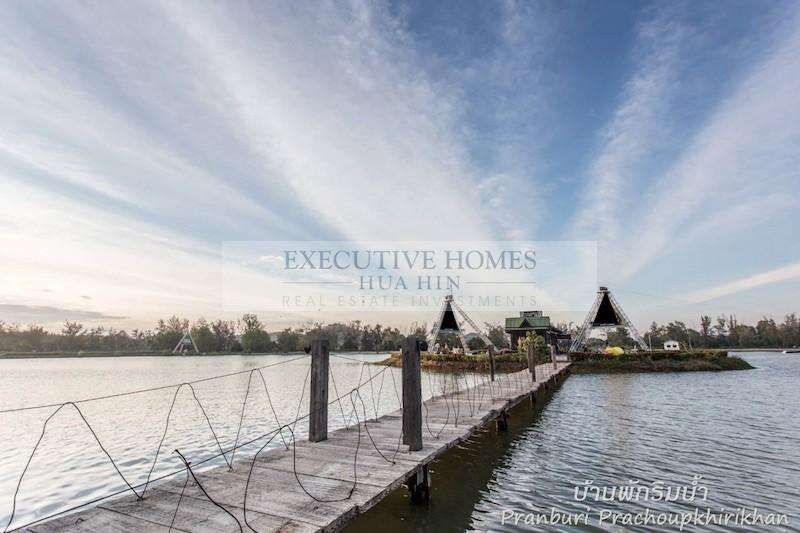 The property values are increasing exponentially here, and the new ferry to Pattaya will be serviced from the Pranburi Marina, bringing more infrastructure and added value to the area.